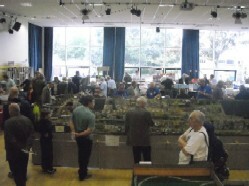 The following Terms & Conditions apply to the use of this site, www.iwemrc.org.uk ('the site'). Use of the site constitutes your acceptance of these Terms & Conditions. 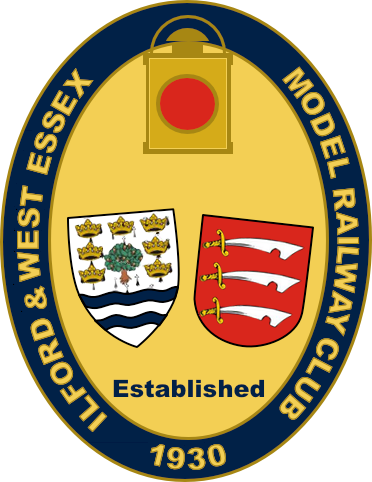 All material used on the site is the copyright of the Ilford & West Essex Model Railway Club, ('the club'), its individual members, or other individuals or organisations as specifically credited or as implied. All information contained on the site, and any opinions or views expressed, have been provided in good faith and based on available information at the time of composition. Although every effort is made to keep all content as accurate and up-to-date as possible, all content is provided 'as is' with no guarantee of accuracy or completeness. Neither the club, its members nor any other contributors to the site shall be held responsible for any inaccuracy of information, nor held liable for any consequntial losses arising out of the use of, or reliance on, any information provided on the site. Any personal details submitted to the club, whether via the forms provided on the site, by email or any other means, will be kept strictly private and will not be passed to any individual or organisation external to the club. Such information will be used solely for the purposes of contacting individuals who have indicated their willingness to be contacted by the club, and will be passed only to those members charged with making such contact. All contact information displayed on this site for private individuals, club members or otherwise, is displayed with the full consent of those individuals concerned. Any request to remove personal contact information will be acted upon as quickly as possible. A cookie is a small amount of data that is sent to your internet browser from a web server and stored in a file on your computer's hard drive. While these can be used by some web sites to track your browsing habits, recognize you as a previous visitor, track your frequency of visits, preferences and interests, etc, THIS SITE ONLY USES SESSION COOKIES. Session cookies are necessary to provide the web server with basic status information, such as which page you are currently on, or which page you navigated to the current page from (in order to provide return links), or error information when submitting a form, or to identify a logged on user (Members Area only). These session cookies relate only to your current visit to the site, and are typically deleted when you close your internet browser, so no information is retained between your visits to the site. You are perfectly entitled to disable cookies in your internet browser (see the help documentation for your specific browser on how to do this), but some areas of the site may not function properly if you do so. This site may from time to time contain links to other sites that the club feels may be of interest. Such links are provided purely as a matter of convenience, and do not indicate any endorsement or sponsorship on the part of the club. While every reasonable effort will be made to avoid links to any unsuitable or undesirable sites, the club has no control over third party web sites, and cannot be held responsible for their content. The club reserves the right to remove a link, or reject any request for a link, to any third party site, and will not be under any obligation to notify or justify any such removal or refusal. Notwithstanding the 'Privacy' section above, by completing and submitting the Link Request form, you indicate your willingness for the details and comments you enter to be displayed on the site. Every care will be taken to avoid the unwanted publication of personal contact information, but the club cannot be held responsible for the inclusion of any information supplied by a third party, that is to say, any individual that is not a club member.